We don’t know that much about Star Wars: The Force Awakens yet, no matter how many times we manually advance the 1080p trailer, squinting into each pixel of HD footage, or pore over every new character name. 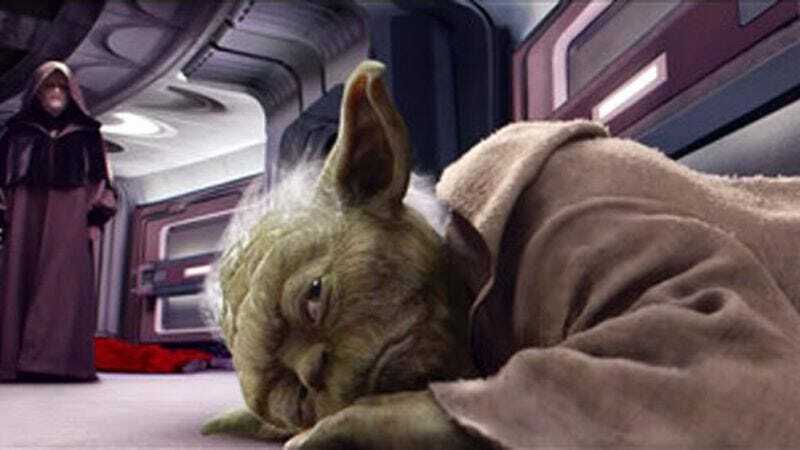 But while the Force might be rising from its slumber for another go at Episodes VII, VIII and IX, it’s probably safe to assume that Yoda’s Force-nap in Return Of The Jedi was a one-way trip. Still, thanks to the magic of a galaxy, far, far away that is owned by a media juggernaut, we don’t have to say goodbye to our little green friend. TV Guide reports that Frank Oz will be returning to the Star Wars universe, lending Yoda’s twisted syntax to a single episode of Star Wars Rebels. Yoda’s episode, “Path Of The Jedi,” airs January 5 on Disney XD, and will be available online December 29.